According to Nielsen, we trust friends and family members’ recommendations 92% of the time. We trust advertising from companies 47% of the time. We fundamentally trust humans more than companies or institutions (highlight to Tweet). This is why the smartest companies don’t act as such. Instead, they operate as real people, united by a common cause under the umbrella and auspices of the collective. When companies do this – when they let the humanity of their team members take center stage – the impact on customer experience can be extraordinary. 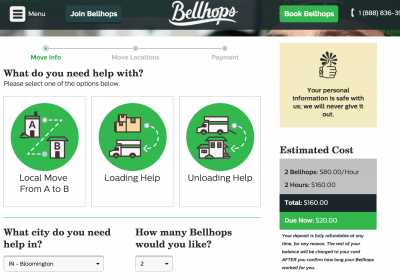 Founded in 2012, Bellhops is a startup company that seeks to be the Uber of moving. They have built a large network of “bellhops” – young, cheerful, strong, and male college students who will help you move whatever and whenever. The Bellhops are very carefully screened for attitude and cultural fit (similar to Zappos or Southwest, according to Keith Peterson, a former Red Bull executive who now heads the Bellhops brand). Booking Bellhops is about as difficult as ordering a pizza. Their website (and newly launched mobile app) is clean, crisp, clear, and transparent. $40/hour per Bellhop, with help available in 130+ cities – just about everywhere there is a college or university to supply the labor force. And here’s where the human-side of customer experience gets kicked into high gear, and the Bellhops experience becomes truly remarkable (worthy of remark, as I emphasized in my recent blog post about content marketing killing our language). 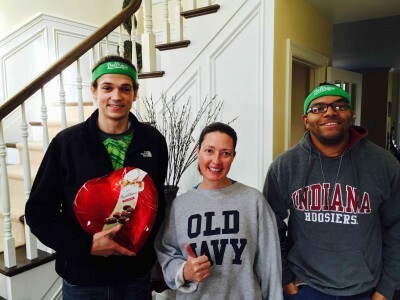 The Bellhops brought my wife chocolates, for Valentine’s Day. I’m certain this doesn’t happen to everyone, and I’ve been talking to Keith so perhaps they wanted to do something extra special for me, but that was astounding. A few minutes after the Bellhops departed, I received an email asking me to confirm start/end time. Once that was handled, I received a detailed satisfaction and rating survey that asked me to review each guy individually across multiple attributes like effort, punctuality, attitude, and so forth. Positioning the reviews as of the PERSON rather than of the COMPANY continues the humanization theme. Even tips are handled that way, as you determine how much you want to tip each person, rather than the crew as a whole. If Bellhops can take an industry live moving – which has been the exclusive territory of cigarette-wielding, late-stage Merle Haggard and/or late-stage Iggy Pop types – and turn it into an experience you actually WANT to have, you can certainly add some of this humanity to your customer experience.